When I first decided to begin the Specific Carbohydrate Diet (SCD) back in 2015, I had one main concern. How would I maintain my weight? As someone with Crohns, maintaining a stable weight has always been on my mind. It’s important because regular Crohn’s flare ups can cause dramatic and sudden weight loss. This is emphasised by my doctor too as the first thing I do at every appointment is stand of the scales. My doctor had no problem with me beginning the SCD on one condition: that my weight remained stable. I agreed to see a dietician every few months for my first year on the diet to monitor my weight. Thankfully, I never lost any weight. I now weigh more than I did in pre-SCD days and my BMI is in the normal range. I attribute my stable weight or even weight gain to eating the following foods in moderation. Snacking is really important throughout the day also. I never leave home without my picnic! I hope this guide on How NOT to lose weight on the Specific Carbohydrate Diet (SCD) helps to ease your concerns if you are thinking of going grain-free. Ah, avocados. One of the world’s healthiest foods. 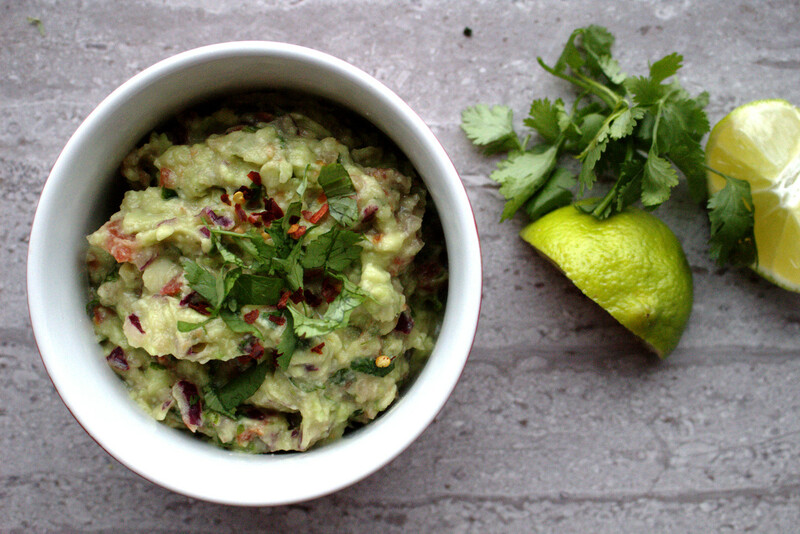 They are packed with healthy fats and eating one a day will help you to maintain your weight. 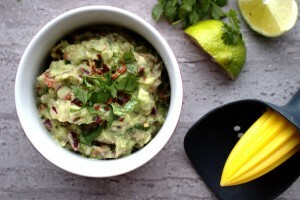 You can eat avocados on their own with eggs, have them in smoothies or try my delicious guacamole recipe. Coconut oil is another great healthy fat. With a higher smoke point than olive oil, it’s a great alternative for healthier frying and sautéing. 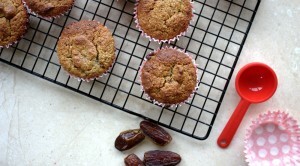 You can also easily make muffins or cakes dairy-free by substituting coconut oil for butter. 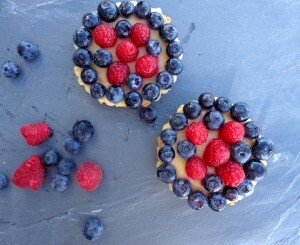 Try my lemon curd tarts by clicking here for the recipe. Coconut milk is not only a healthy non-dairy milk but is also relatively high in calories. It’s a great option to add to smoothies. 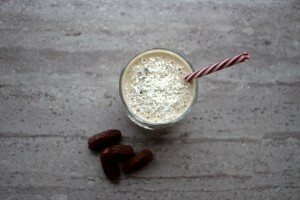 My current favourite is my banana and date dairy-free smoothie. I absolutely love blanched almond flour and it is definitely my flour of choice for making cakes, pastry, muffins and more. Be sure not to over-eat this as it could cause an IBD flare but in moderation it’s a great healthy and filling snack. Check out some of my almond flour snack recipes here. Almond, cashew and hazelnut butter to name a few. I have a major weakness for almond butter. 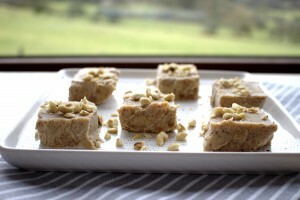 Check out the recipe for my all-time favourite snack in the world: my almond butter fudge. It’s delicious and healthy too! As previously mentioned, make sure you keep your nut consumption down if you have already eaten nuts products that day. This includes: ground nuts, nut butters and nut milks! We’re a big butter house. It must be real butter. Kerrygold is our absolute favourite. 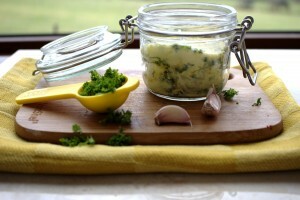 I always have a garlic and parsley butter in the fridge to dress up our meat dishes whenever it takes our fancy. I even add it to my cauliflower rice! If you can tolerate lactose-free dairy, SCD yoghurt is a great source of calcium and calories. You can make delicious smoothies with it or just enjoy it on its own with fruit. 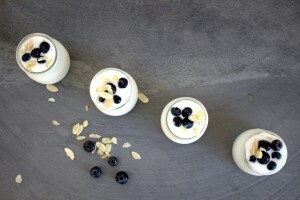 You can find the recipe for my SCD goat’s milk yoghurt here. Again, cheese is a great source of calicium and calories if you are looking to keep up your weight. I have lots of great recipes using cheese on this site. 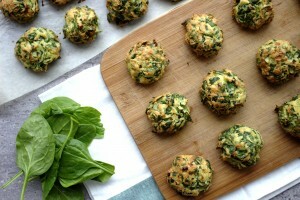 One of my current favourite is my baked spinach balls. Olive oil is another healthy fat and is healthiest when consumed in salad dressings rather than heated. 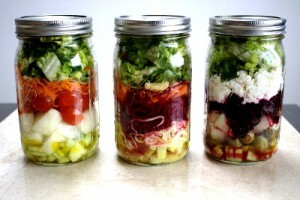 For salad ideas with olive oil dressings, check out my mason jar salad blog post here. I hope you found this list of How NOT to lose weight on the Specific Carbohydrate Diet (SCD) helpful. As always, the best advice I have when following SCD is that balanace is the key to success. Eat a variety of foods and eat them in moderation. Follow these simple steps and you will hopefully see your health begin to improve! Feel free to share your own ideas or stories below! I was just wondering is your baked spinach balls recipe on your site. Also which blanched almond flour and raw honey do you use. I buy raw honey from a local farmer in Cork, Ireland but usually farmer’s markets are a good place to pick it up! Good luck!